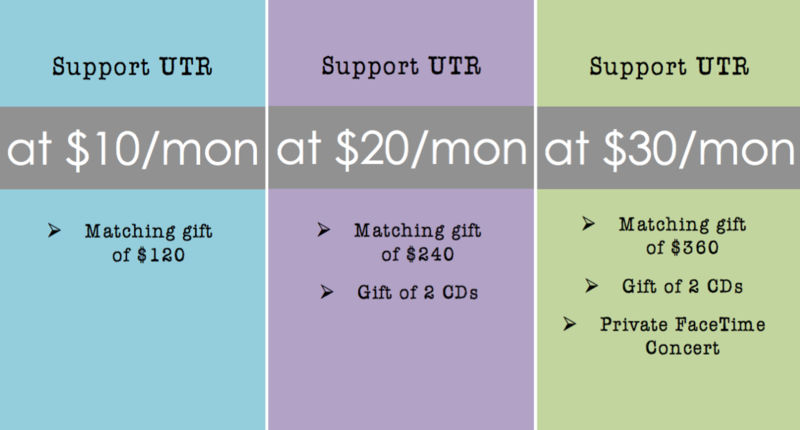 UTR’s Big Next Step - YOU can help! For the last 8+ years, Under The Radar has been primarily one thing: a radio show/podcast... with a few supporting pieces around it like concerts, blog posts, contests, etc. We are ready to take the BIG NEXT STEP and turn this ministry into a full-fledged media organization. It is our desire to be the leading voice in curating and championing well-crafted, faith-inspired music. We are grateful for any and all new contributors, and although your gift doesn't qualify for a matching contribution, it does add to the overall goal and helps us step forward in faith. Your gift will receive a $120 match from our leadership contributors. Thank you for your prayerful consideration on supporting this ministry as we foster community & spiritual impact around "gourmet music." UTR is a 501c(3) tax-deductible non-profit organization.